Heading into the morning matches of Day Two of the 2012 Ryder Cup, the United States is in the unfamiliar position of being in the lead. Having taken five of eight first day matches, the U.S. will look to build on their success and pull away from an experienced and talented European team. While we won’t know the afternoon pairings until the morning matches are underway, we can analyze the foursomes match ups now. This first pairing of the day is a surprising one to me. While the Watson/Simpson pairing was dynamic in the Friday afternoon match, that was best ball. Alternate shot is a totally different animal, and playing with Bubba Watson in that format seems like a challenging prospect. Watson plays as far outside the lines as any great player in history. He just doesn’t see the course the way the rest of us do. He has a gift, and is incredible at inventing shots to carve up a course. The issue is, he will only be hitting half of the shots. Simpson is a far more traditional player, and I’m having a hard time seeing those two playing the same ball with a great deal of success. They are facing a very compatible team in Rose and Poulter, whom have probably played more together than any other two in the matches. Friday’s breakout star Bradley will look to replicate the magic and take down yet another point. While it seems like he would have to cool off at some point, Bradley is a proven performer with a major title under his belt. I think he will hold his nerve just fine, and his game is certainly up to the task. The only question at this point would be whether or not he is fatigued after what he called “maybe the best of my life”. No matter how much adrenaline one has, it always runs out at some point. He and Mickelson will be playing what should be a very solid and consistent Euro pairing. Westwood and Donald both hit tons of quality shots, and if they are rolling the ball well on the greens should prove tough to beat. If Bubba Watson is a questionable partner for alternate shot format, the same can be said for Colsaerts. The Belgian can hit it a mile, but with that always comes some inconsistency. In his favor though, is his partnership with Ryder Cup legend Garcia. Sergio will not be a steadying influence on the rookie Colsaerts and can still play some in his own right. With that said, I love this pairing for the U.S. Dufner and Johnson are very similar players, possessing great ball striking consistency and the level demeanor to match. This pairing cruised to a 3&2 win over Westwood and Molinari on Friday morning, and I would expect a similar result from them Saturday. The final match out in the morning is a repeat of Friday’s most dramatic match. There is no reason to think the sequel will be much different than the original. Snedeker will likely have a little bit of the nerves behind him, and should have a steadier hand in the late stages of the match. The only wildcard here is the presence of the always dangerous McIlroy, who can get hot at a moment’s notice and run away with a match. As long as Rory doesn’t get on one of his Major-winning rolls, this should be an excellent match to watch. Does it seem like there is something missing from this preview? That would be one Eldrick Tiger Woods, who sees the bench for the first time in his Ryder Cup career. I would imagine this news was no fun for captain Love III to deliver in person, but it’s a decision that had to be made. The type of golf Woods is playing is just not suitable for alternate shot play, and he and Stricker put together a pretty ugly match Friday morning. I would imagine they will be back at it for the afternoon matches. These four morning matches will likely go a long way toward deciding the winner of the Ryder Cup. If the U.S. were to take three point somehow, the resulting 8-4 score would likely be insurmountable. If that were reversed and Europe won three matches, it would be 6-6 and game on. Tune in early – every one of these points will matter. 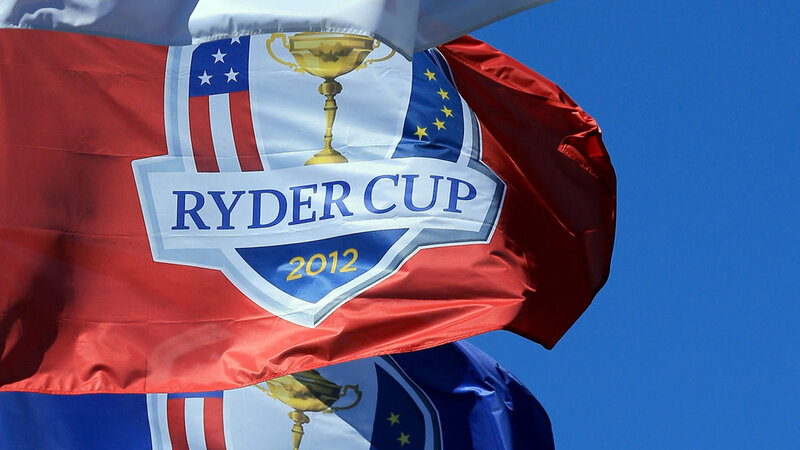 2012 Ryder Cup Preview – Heroes or Zeroes, does the US have the juice to take back the cup?